There has been a growing belief within the legal system that there is little to no relationship between the confidence with which an eyewitness identifies a person from a lineup and the accuracy of that identification. This view is not entirely surprising, given that traditionally used eyewitness-identification procedures often employ techniques that were not created or validated by the scientific community, and thus led to high-confidence — but low-accuracy — identifications. With input from the scientific community, newer identification procedures have emerged that avoid many of the pitfalls of their predecessors. In this issue of Psychological Science in the Public Interest (Volume 18, Issue 1), John T. Wixted and Gary L. Wells reexamine the link between eyewitness confidence and identification accuracy, arguing that when pristine procedures are used, confidence can be highly indicative of accuracy. So what are pristine eyewitness-identification procedures? Wixted and Wells note that a lineup should contain only one suspect. The rest of the lineup should be composed of known-innocent “fillers.” Including fillers is a way to control for random guessing. If a lineup is entirely composed of suspects, an eyewitness cannot fail in his or her choice — even if that choice is a random one. The inclusion of fillers makes it more likely that a random choice will be a wrong one, helping to prevent mistaken identifications. Additionally, the suspect should not stand out in the lineup: Both the fillers and the suspect should match the description of the perpetrator. 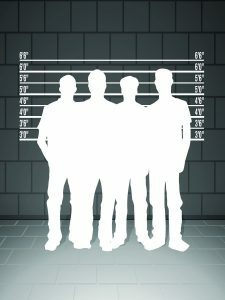 Researchers have found high rates of mistaken identifications — and increased eyewitness confidence in such identifications — when innocent suspects who match the description of the perpetrator are included in lineups alongside fillers who do not. Because eyewitnesses often approach lineups with the goal of finding the offender, eyewitnesses should be cautioned that the offender may not be in the lineup. This lets eyewitnesses know that they are not “failing” if they do not make an identification. Lineup administrators who know the identity of the suspect in a lineup can unintentionally leak this information in ways that can influence eyewitnesses’ behavior. To prevent this from happening, lineups should be administered using double-blind procedures, in which the lineup administrator is unaware of the suspect’s identity. Finally, a confidence statement should be collected at the time of the identification. Confidence in an identification is a known reliable indicator of accuracy only at the time of the initial identification. Confidence statements at trial and other retrospective accounts of confidence are not indicative of accuracy because, after the initial identification, confidence can be altered by a variety of factors. Past research examining the association between eyewitness confidence and accuracy often used point-biserial correlation coefficients or calibration curves, but these measures don’t directly assess the question the legal system is most interested in: Given that a suspect has been identified with a certain level of confidence, what is the probability that the identification is correct? A more recently used technique called confidence-accuracy characteristic analysis can better answer this question. Examinations of laboratory and field data using this technique suggest that, when pristine procedures are used, there is a strong relationship between eyewitness confidence and the accuracy of eyewitness identifications. Although more research is needed — for example, on the best way to collect confidence statements from eyewitnesses and on alternative techniques for distinguishing guilty from innocent suspects — the overarching message of this review is that initial eyewitness confidence does reflect the accuracy of eyewitness identifications when pristine procedures are employed, and that this relationship should not be disregarded by the criminal justice system. In a series of commentaries on this report, Elizabeth F. Loftus and Rachel L. Greenspan look at the use of pristine procedures in real-world settings, finding that some are more consistently used than others. They ask how real-world lineups that use some — but not all — pristine procedures are to be interpreted. Andre M. Davis provides an insider’s look at eyewitness identification within the court system and the value of this report to those in the wider criminal justice system. Laura Mickes, Steven E. Clark, and Scott D. Gronlund note that the data suggest that there is a strong relationship between eyewitness confidence and accuracy even when some non-pristine procedures are used. They warn readers not to interpret Wixted and Wells’s findings to mean that this relationship exists only when pristine procedures are used and call for more research on the relationships between confidence, accuracy, and the pristineness of identification procedures.